Welcome to the information on the measurement and characterisation of radioactive materials website where you will uncover the most resourceful links and articles on all legal matters related to radioactive materials. Radiological waste characterization involves detecting the presence of individual radionuclides and quantifying their inventories in the waste. 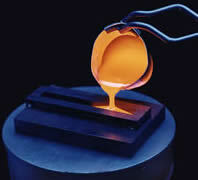 This can be done by a variety of techniques, depending on the waste form, radionuclides involved and level of detail/accuracy required. For example, a simple radiation dose rate measurement will give an indication of the total quantity of gamma emitting radionuclides in a waste package, but will not identify individual radionuclides or their concentrations. Gamma spectroscopy will identify the individual radionuclides and, when properly calibrated, their quantities as well. Other techniques, such as active/passive neutron interrogation, alpha spectroscopy, and liquid scintillation counting are used for other classes of radionuclides. The preferred methods are often referred to as "non-destructive" or "non-invasive", since they do not involve opening a radioactive waste package to take samples. The terms most frequently used are NDA (non-destructive assay), NDE (non-destructive examination) and NDT (non-destructive testing). It is the operator’s responsibility to declare as nuclear material whose use is no longer economically profitable, generally due to low concentration of those materials. It is worth pointing out that the British regulation considers nuclear materials all along the fuel cycle (excluding ores) up to waste disposal with the adapted regime for waste mentioned above. That means that, for instance, uranium ores with a uranium concentration level of 1% currently met is not taken into account. Energy efficiency offers real opportunities to meet sustainable development ambitions. The following facts should be borne in mind when considering the installation of a solar PV system: The size of the roof determines the maximum size of installation. The optimum angle of inclination for solar PV is 35° to the horizontal: collectors angled at 35° will collect the greatest annual solar radiation. Pitched roofs are usually well suited to an integrated solar PV installation, as well as a roof mounted one. On flat roofs, PV modules should be mounted at 35° to the roof surface. 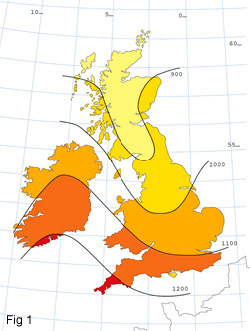 In the UK, PV modules should ideally face south to receive the greatest quantity of solar radiation over the course of the day. When the sun is south it is at its highest altitude, and consequently the solar radiation reaching the earth is at a peak. 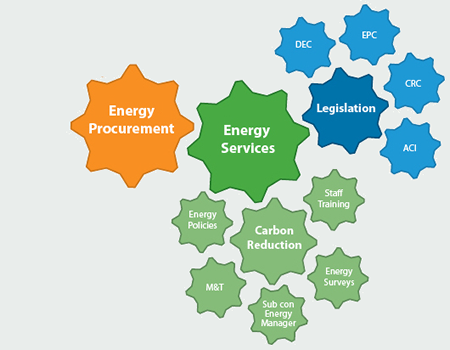 Link to ManagEnergy website which is an initiative of the European Commission Directorate-General for Energy and Transport, which aims to support the work of actors working on energy efficiency and renewable energies at the local and regional level. Plain language guidance for businesses on environmental legislation, and how to comply with it. NetRegs guidance by listing the key pieces of environmental legislation relevant to businesses. Links to key environmental legislation. Links to different associations and support for business dealing with waste. Search through the UK legislation. The UK Government launched an energy policy review on 23 January 2015 with the publication of a consultation document "Our Energy Challenge: securing clean, affordable energy for the long-term". BNFL's response to this consultation can be found under Related Documents, along with a more detailed supporting paper. The conclusions of that review were published on 11 July 2006 in the document "The Energy Challenge". They included the statement that "new nuclear power stations would make a significant contribution to meeting our energy policy goals." 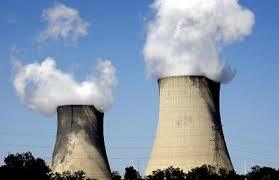 Ex BNFL Group CEO Mike Parker said "I endorse the review's conclusions on nuclear energy. Nuclear energy has a key contribution to make in meeting this country's future energy needs. It is a low carbon technology that offers reliable, secure and affordable generation of electricity. I look forward to the part it can play in the UK in the future." make a significant contribution to meeting our energy policy goals.